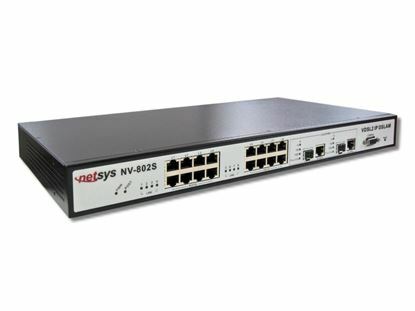 NETSYS Managed Industrial VDSL2 CO Router. 4x RJ45 10/100Mbps. 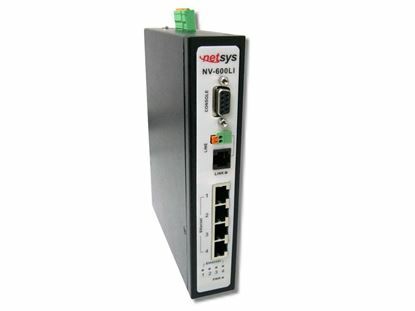 NETSYS Managed Industrial VDSL2 CO Router. 4x RJ45 10/100Mbps. 1x RJ11/Terminal block connector for VDSL2 line port. 1x Removable 6 x contact terminal blocks for power and alarm. 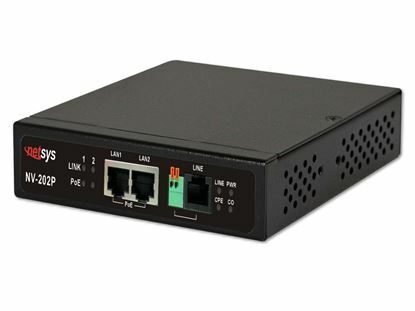 NETSYS VDSL2 PoE LAN Extender. 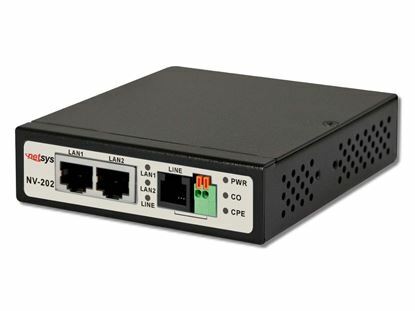 100Mbps symmetric PoE LAN bridge NETSYS VDSL2 PoE LAN Extender. 100Mbps symmetric PoE LAN bridge over single copper wire pair. 10/ 100Mbps up to 300m, 5/1Mbps up 3km. Auto-detect 802.3af/at equipment. Supports mid-span PoE. 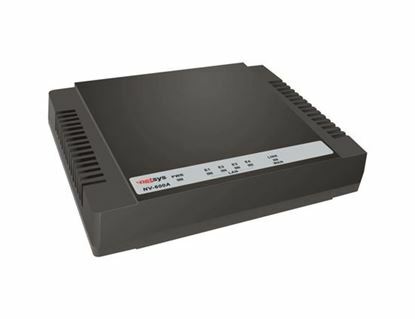 NETSYS VDSL2 CO RX LAN Extender Used as Wired Receiver for NV700L NETSYS VDSL2 CO RX LAN Extender Used as Wired Receiver for NV700L TX. 4x 100Mbps RJ45 and 1x RJ11 Telephone Port. 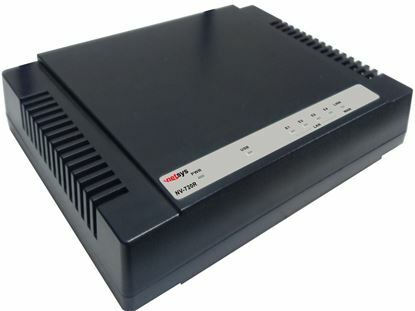 NETSYS VDSL2 CO RX LAN Extender with 802.11ac WIFI. Used as a WIFI NETSYS VDSL2 CO RX LAN Extender with 802.11ac WIFI. Used as a WIFI receiver for NV-700L TX. 4x 100Mbps RJ45 and 1x RJ11 Telephone Port. 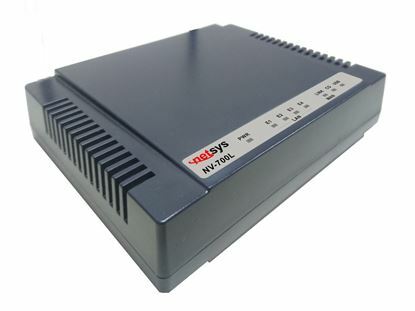 NETSYS VDSL2 CO RX LAN Extender with 802.11n WIFI. Used as a WIFI NETSYS VDSL2 CO RX LAN Extender with 802.11n WIFI. Used as a WIFI receiver for NV-700L TX. 4x 100Mbps RJ45 and 1x RJ11 Telephone Port.